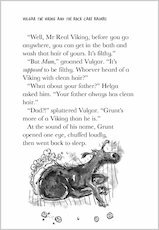 Roaring, raiding and big red beards – being a Viking is great! 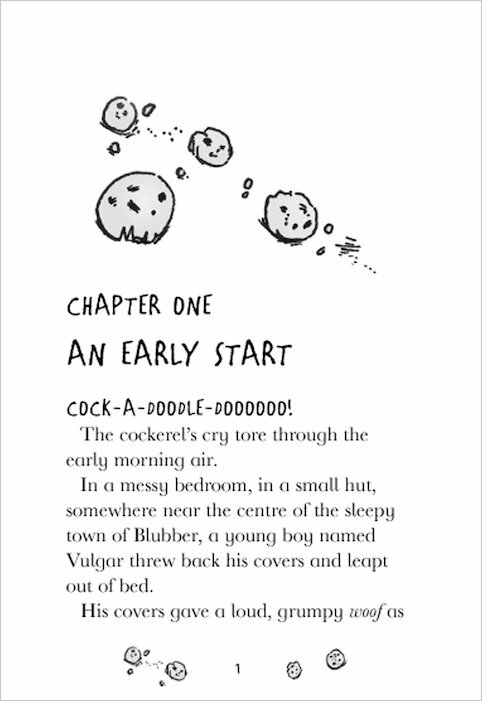 Except that these days in the village of Blubber, everything has been a bit… well… boring. 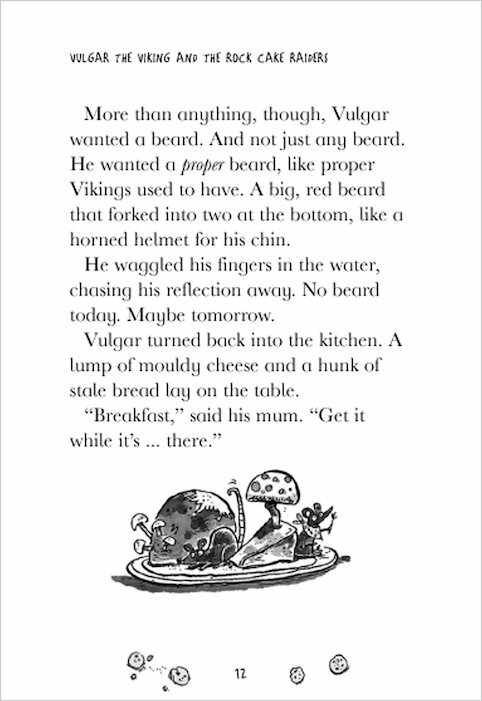 So, along with his friends, cheeky Vulgar hatches a plan to raid the local baker’s shop and bring back pillage to the village. 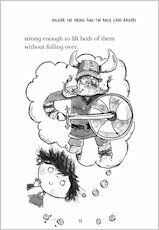 But that means juggling with elk poo, avoiding the troll in the cellar and making a longboat out of a barrel and some slime! 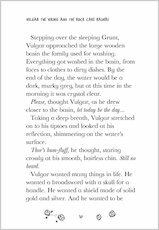 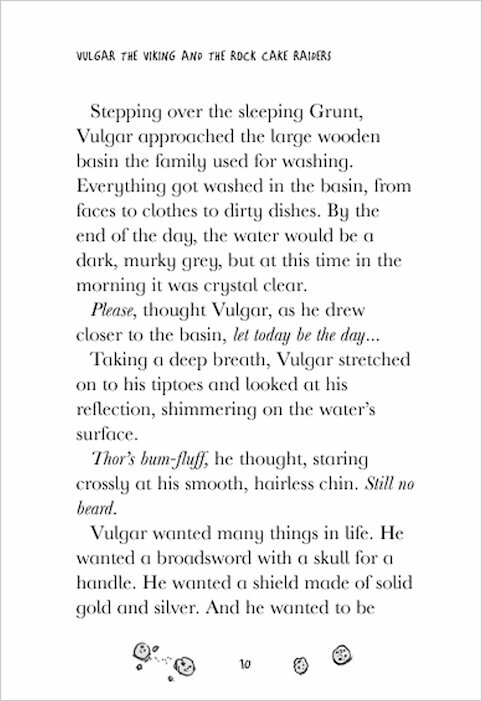 Then, when a squabble breaks out on the return voyage across the pond, Vulgar finds himself in very hot water. Is this rascally rock cake raider about to get his just desserts? 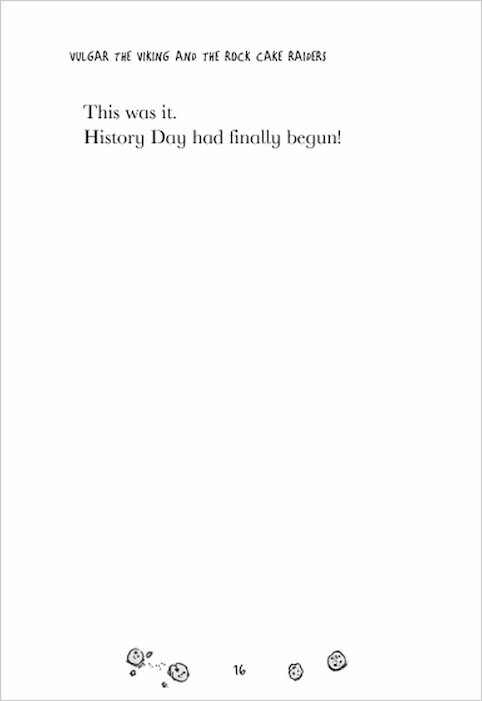 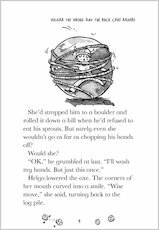 This book was epic I want to find more books about this!!!!!!!!!!!!!!!! 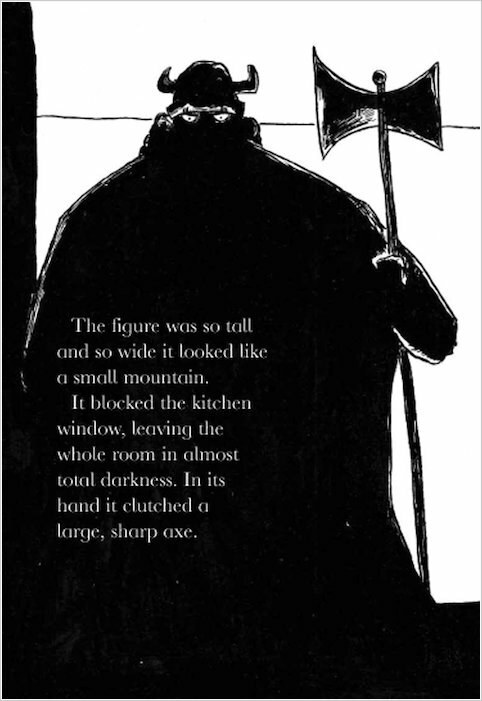 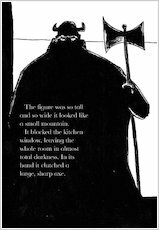 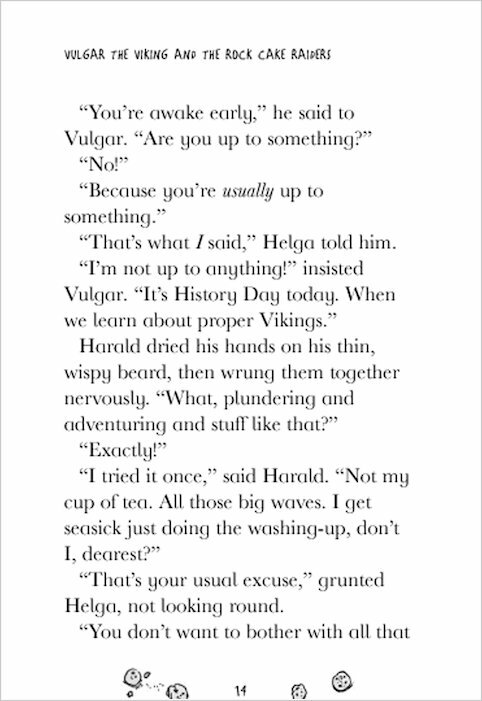 I quite like Vulgar’s big adventure in the this book. 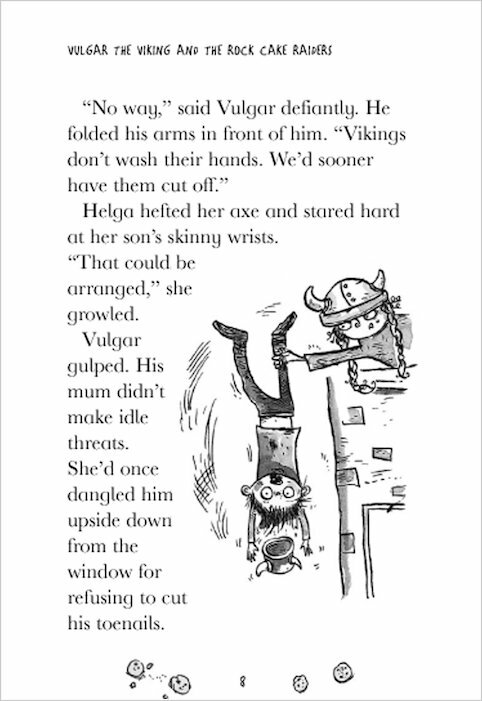 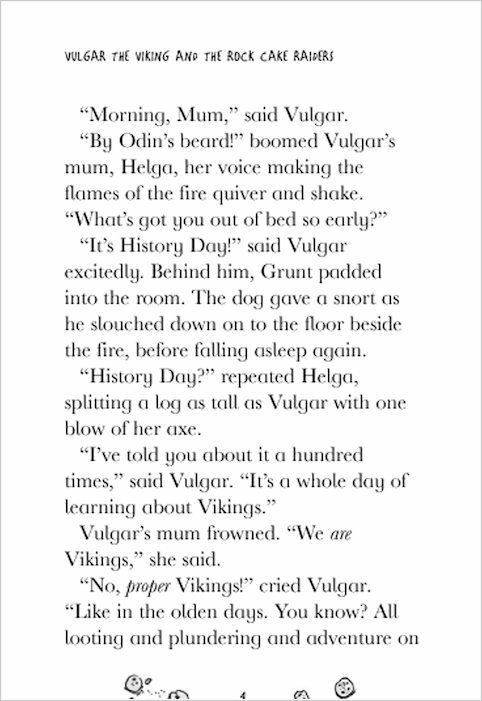 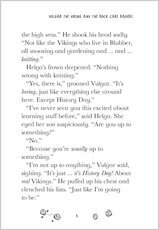 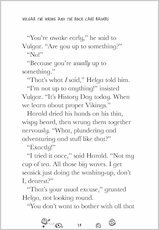 Vulgar really wants to become a real viking instead of the clean, friendly sort from the town of blubber doing knitting, cooking, cleaning and baset weaving. 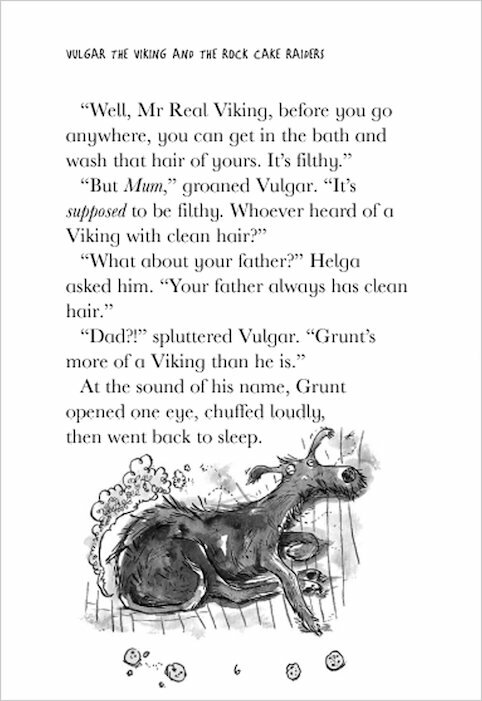 Before this vikings were big dirty, ferocious, raiding people that had baths once a week. 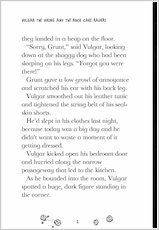 But Vulgar thinks he can change this! 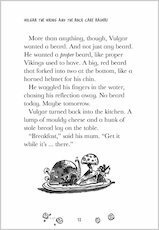 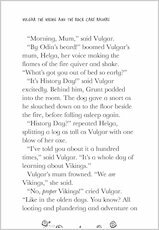 Vulgar and his friends are always up to something this time they are going to do a real viking raid- on the bakery to get some rock bun. 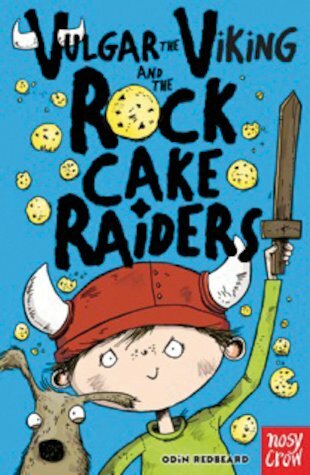 I rate this book 8/10, it was really funny and shows that the world is a big place for a small viking in other words raiding a bakery is the same as raiding England. 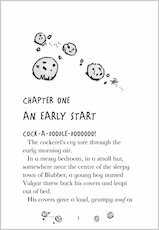 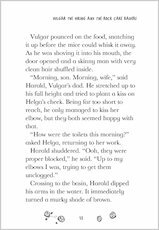 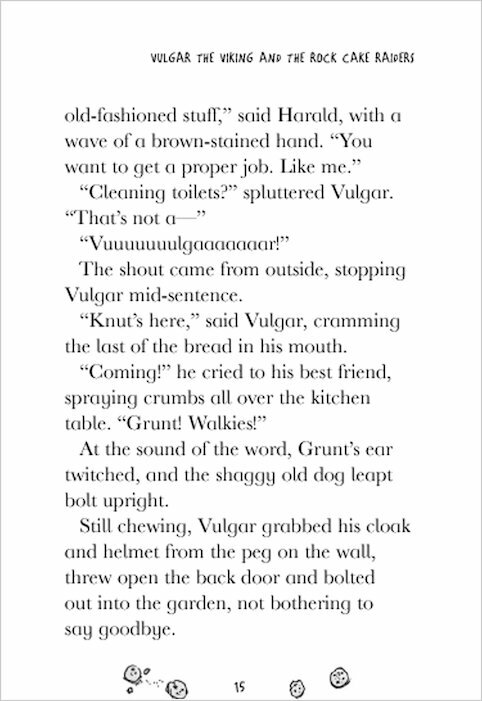 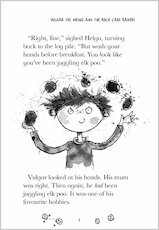 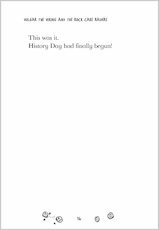 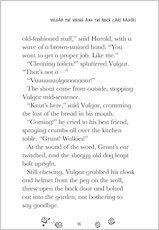 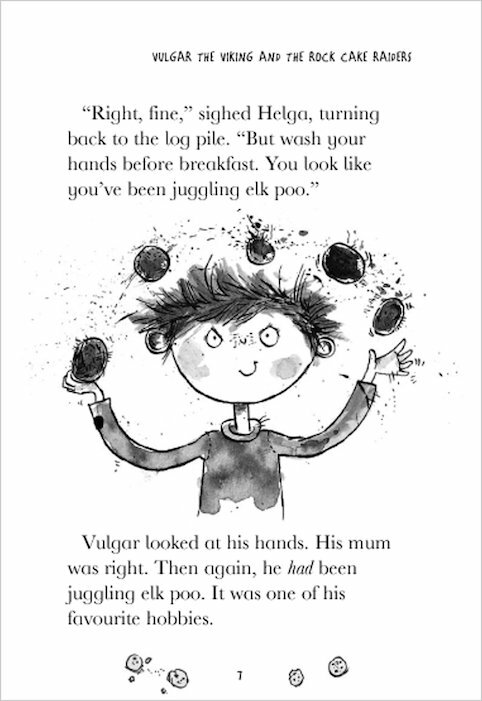 This book is about Vulgar and his friends Knut and Grunt the dog, when they try to steal rock cakes. 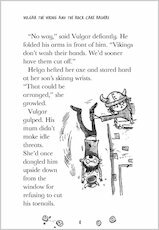 I loved it when Freya catches them and wants to join their adventure!